The Irish & Celtic Music Podcast was produced by Marc Gunn, The Celtfather. To subscribe, go to iTunes or to our website where you can become a Patron of the Podcast for as little as $1.38 per episode. 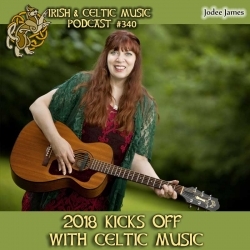 Promote Celtic culture through music at http://celticmusicpodcast.com/. Thanks to Hunter Melville, our newest Patron. Thank you SO much for supporting the show!